CIRES, the Cooperative Institute for Research In Environmental Sciences, is a collaboration between NOAA and the University of Colorado at Boulder. Its latest study, published in the journal Science, finds the US oil and gas industry emits 13 million metric tons of methane from its operations each year. That is 60% more than previously estimated by the US Environmental Protection Agency. The research was organized by the Environmental Defense Fund and drew on science experts from 16 research institutions including the University of Colorado Boulder and the University of Texas Austin. It assessed measurements made at more than 400 well pads in six oil and gas production basins and scores of midstream facilities. Measurements from valves, tanks and other equipment were considered along with aerial surveys covering large swaths of the US oil and gas infrastructure. It doesn’t have to be this way, of course. 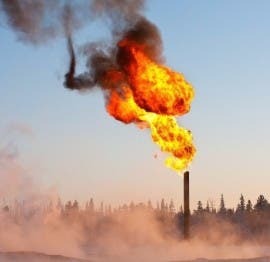 The Obama administration imposed new methane rules before leaving office, but they have been bitterly opposed by the oil and gas industry. Despite being ordered by the courts to enforce the Obama era rules, the EPA continues to seek ways to avoiding enforcement actions. Under Trump, the EPA has become a tool of the fossil fuel industry while abandoning any pretense of protecting Americans from environmental harm. Scott Pruitt and his hand-picked minions believe profits should take priority over climate and health concerns. But doing so would be too burdensome, the industry maintains. Why reduce the pool of money available to pay dividends to stockholders and fat bonuses to executives just because the seas might rise or some people might die sooner? Environmentalists need to get the priorities straight, they suggest. Only profits matter. All else is just a distraction from the central purpose of all business. Any semblance of ethics has long since been eradicated from the lexicon of big business.